* Non-GAAP measures. Complete definitions of Boeing's non-GAAP measures are on page 6, "Non-GAAP Measures Disclosures." The Boeing Company [NYSE: BA] reported third-quarter revenue increased 9 percent to $25.8 billion on record commercial deliveries (Table 1). Core earnings per share (non-GAAP) for the quarter increased 18 percent* to $2.52, reflecting strong performance across the company, and GAAP earnings per share was $2.47. Core earnings per share (non-GAAP)* guidance for 2015 increased to between $7.95 and $8.15, from $7.70 and $7.90 on continued strong operating performance. GAAP earnings per share guidance for 2015 increased to between $7.65 and $7.85, from $7.60 and $7.80. Operating cash flow guidance increased to approximately $9.5 billion. Revenue guidance increased $0.5 billion to between $95.0 billion and $97.0 billion on higher commercial airplane deliveries. 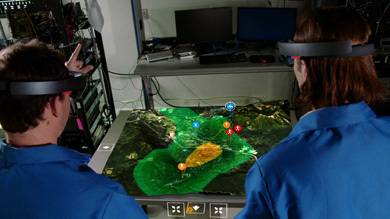 Defense, Space & Security operating margin guidance increased to approximately 10 percent. 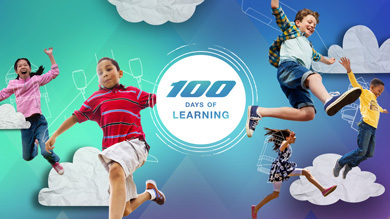 "By continuing to profitably deliver on our large and diverse backlog, we are driving strong growth in revenue, earnings and cash flow," said Boeing President and Chief Executive Officer Dennis Muilenburg. "Solid operating performance across our commercial and defense businesses during the quarter also supported our continued investment in innovation and our people, and our commitment to return cash to shareholders." "Three quarters of solid results and confidence in our continued operating performance enabled us to raise our revenue, earnings per share and operating cash flow guidance for the year. Looking ahead, our teams remain focused on improving productivity and quality and delivering improved capabilities to meet our customers' expectations." Operating cash flow in the quarter was $2.9 billion, reflecting commercial airplane production rates and strong operating performance (Table 2). During the quarter, the company repurchased 11 million shares for $1.5 billion, leaving $6.0 billion remaining under the current repurchase authorization. Year to date, the company repurchased 41 million shares for $6.0 billion. The company also paid $0.6 billion in dividends in the quarter, reflecting an approximately 25 percent increase in dividends per share compared to the same period of the prior year. Marketable securities consists primarily of time deposits due within one year classified as "short-term investments." Cash and investments in marketable securities totaled $9.9 billion, up from $9.6 billion at the beginning of the quarter. Debt was $9.0 billion, unchanged from the beginning of the quarter (Table 3). Total company backlog at quarter-end was $485 billion, down from $489 billion at the beginning of the quarter, and included net orders for the quarter of $22 billion. Commercial Airplanes third-quarter revenue increased 10 percent to $17.7 billion on higher delivery volume and mix (Table 4). Third-quarter operating margin was 10 percent, reflecting higher R&D and the dilutive impact of higher 787 deliveries partially offset by strong performance on production programs. During the quarter, the company began final assembly and achieved power-on of the first 737 MAX airplane. 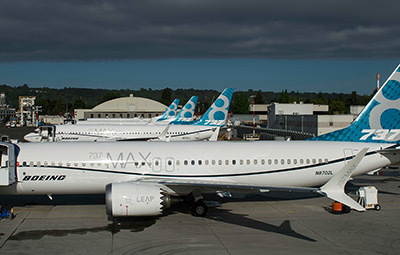 In total, the 737 program has won nearly 2,900 firm orders for the 737 MAX since launch. 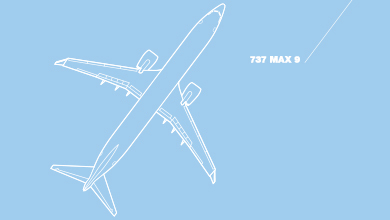 Also during the quarter, the company completed firm configuration for the 777X. The 777X program is on schedule for first delivery in 2020. Commercial Airplanes booked 166 net orders during the quarter. 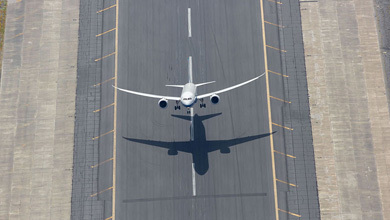 Backlog remains strong with nearly 5,700 airplanes valued at $426 billion. During the first quarter of 2015, certain programs were realigned between Boeing Military Aircraft and Global Services & Support. Defense, Space & Security's third-quarter revenue was $8.4 billion with an operating margin of 12.2 percent (Table 5). Boeing Military Aircraft (BMA) third-quarter revenue increased 15 percent to $4.1 billion primarily as a result of F-15 contract negotiations and BMA operating margin was 12.2 percent. During the quarter, BMA was awarded contracts for 13 P-8A Poseidon aircraft, 22 Apache helicopters, and 15 Chinook helicopters. Also during the quarter, the company and the U.S. Air Force team completed the first flight of a KC-46A tanker aircraft. Network & Space Systems (N&SS) third-quarter revenue was $2.1 billion, reflecting higher volume on the Commercial Crew program. Operating margin increased to 11.5 percent, reflecting favorable program mix. 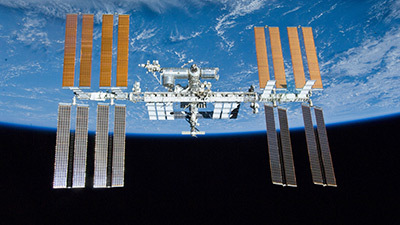 During the quarter, NASA extended Boeing's international space station contract. 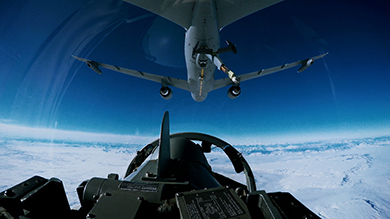 Global Services & Support (GS&S) third-quarter revenue decreased to $2.2 billion, reflecting the timing of Airborne Early Warning and Control deliveries. Operating margin increased to 12.9 percent on strong performance. During the quarter, GS&S was awarded a contract to develop and provide the next-generation communications system for the Australian Defence Force. Backlog at Defense, Space & Security was $59 billion, of which 40 percent represents orders from international customers. At quarter-end, Boeing Capital's net portfolio balance was $3.4 billion, up from $3.3 billion at the beginning of the quarter. Total pension expense for the third quarter was $529 million, down from $715 million in the same period of the prior year. The company's updated 2015 financial and delivery guidance (Table 7) reflects continued strong performance across the company. Non-GAAP measures. Complete definitions of Boeing's non-GAAP measures are on page 6, "Non-GAAP Measures Disclosures." Core operating earnings is defined as GAAP earnings from operations excluding unallocated pension and post-retirement expense. Core operating margin is defined as core operating earnings expressed as a percentage of revenue. Core earnings per share is defined as GAAP diluted earnings per share excluding the net earnings per share impact of unallocated pension and post-retirement expense. Unallocated pension and post-retirement expense represents the portion of pension and other post-retirement costs that are not recognized by business segments for segment reporting purposes. Management uses core operating earnings, core operating margin and core earnings per share for purposes of evaluating and forecasting underlying business performance. Management believes these core earnings measures provide investors additional insights into operational performance as they exclude unallocated pension and post-retirement costs, which primarily represent costs driven by market factors and costs not allocable to government contracts. A reconciliation between the GAAP and non-GAAP measures is provided on page 13. Operating cash flow before pension contributions is defined as GAAP operating cash flow without pension contributions. Management believes operating cash flow before pension contributions provides additional insights into underlying business performance. Management uses operating cash flow before pension contributions as a measure to assess both business performance and overall liquidity. Table 2 provides a reconciliation between GAAP operating cash flow and operating cash flow before pension contributions. This press release contains "forward-looking statements" within the meaning of the Private Securities Litigation Reform Act of 1995. Words such as "may," "should," "expects," "intends," "projects," "plans," "believes," "estimates," "targets," "anticipates," and similar expressions are used to identify these forward-looking statements. Examples of forward-looking statements include statements relating to our future financial condition and operating results, as well as any other statement that does not directly relate to any historical or current fact. Forward-looking statements are based on our current expectations and assumptions, which may not prove to be accurate. These statements are not guarantees and are subject to risks, uncertainties, and changes in circumstances that are difficult to predict. Many factors could cause actual results to differ materially and adversely from these forward-looking statements. 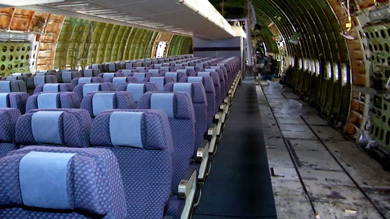 Among these factors are risks related to: (1) general conditions in the economy and our industry, including those due to regulatory changes; (2) our reliance on our commercial airline customers; (3) the overall health of our aircraft production system, planned production rate increases across multiple commercial airline programs, our commercial development and derivative aircraft programs, and our aircraft being subject to stringent performance and reliability standards; (4) changing budget and appropriation levels and acquisition priorities of the U.S. government; (5) our dependence on U.S. government contracts; (6) our reliance on fixed-price contracts; (7) our reliance on cost-type contracts; (8) uncertainties concerning contracts that include in-orbit incentive payments; (9) our dependence on our subcontractors and suppliers, as well as the availability of raw materials, (10) changes in accounting estimates; (11) changes in the competitive landscape in our markets; (12) our non-U.S. operations, including sales to non-U.S. customers; (13) potential adverse developments in new or pending litigation and/or government investigations; (14) customer and aircraft concentration in Boeing Capital's customer financing portfolio; (15) changes in our ability to obtain debt on commercially reasonable terms and at competitive rates in order to fund our operations and contractual commitments; (16) realizing the anticipated benefits of mergers, acquisitions, joint ventures/strategic alliances or divestitures; (17) the adequacy of our insurance coverage to cover significant risk exposures; (18) potential business disruptions, including those related to physical security threats, information technology or cyber-attacks, epidemics, sanctions or natural disasters; (19) work stoppages or other labor disruptions; (20) significant changes in discount rates and actual investment return on pension assets; (21) potential environmental liabilities; and (22) threats to the security of our or our customers' information. The tables provided below reconcile the non-GAAP financial measures core operating earnings, core operating margin and core earnings per share with the most directly comparable GAAP financial measures, earnings from operations, operating margin and diluted earnings per share. See page 6 of this release for additional information on the use of these non-GAAP financial measures. Earnings per share impact is presented net of the federal statutory tax rate of 35.0 percent.